A case worn every day keeps AppleCare away! Got yourself an iPhone SE? Well, good for you, but did you get a case for it? No? That's a pity, we'd immediately put one on it if we were you! One simply has to shield the compact powerhouse from the fierce environment and prevent any accidental drops from marring its sleek body. It seems that the iPhone SE is not as sturdy as the iPhone 6s, so having some additional protection is imperative. By now you probably know that the iPhone SE is compatible with all the thousands of different iPhone 5s cases out there. You might have one of these lying in some cupboard of yours, but if you don't, worry not - we will show you a couple of noteworthy iPhone SE cases. We have not confined ourselves to a single type of case. After starting with transparent TPU cases that most people would put on their phones, we will quickly climb up the ruggedness ladder with some tough and classy wooden cases for your iPhone. Spigen's a household name in the case business and its Case Liquid Armor for the iPhone SE screams 'quality' on all fronts. This one is quite thin, flexible, and completely transparent, allowing you to ogle at Jony Ive's design efforts from a few years back. Have in mind that Spigen's see-through offering will only protect your phone from minor drops — don't expect stellar protection. Available in black, rose gold, gold, and blue, this $19.99 case for the iPhone SE probably won't offer very good protection, but certainly keeps the added bulk as minimal as possible. And who likes thick phones? No one, probably. In this regard, Belkin's Air Protect excels - it's thin, arrives with reinforced TPU material that is durable and scratch resistant. Finally, the manufacturer promises it won't discolor if you keep it in direct sunlight for long periods of time. Barely there has certainly earned its name - this case is both ultra-slim and transparent, making it a viable option for all those who like their cases... barely there. Pardon the pun. Jokes aside, if you are looking for an accessory that will protect your phone without making it an unsightly thick brick. 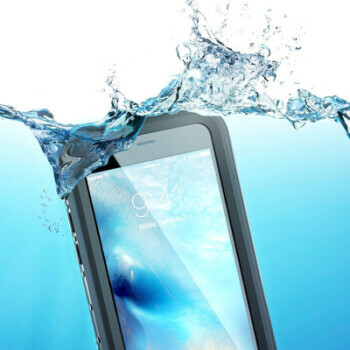 With is slim transparent design and impact-resistant bumper, this one offers style without sacrificing protection. Its back is see-through, as we said, and is boasting a smooth finish that won't scratch easily. Also, the metal button accents are a nice touch. Another Spigen offering that we like very much. It's not that bulky (adds only a total of 2.1mm in thickness) but arrives with Spigen's Mil-grade Air Cushion technology which offers admirable drop protection. 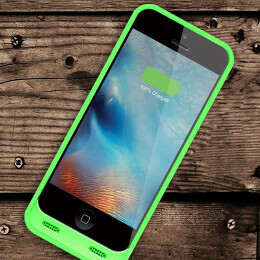 The case itself is made of two pieces: a soft, shock-absorbing TPU shell and a hard polycarbonate bumper. The rear of the case is also textured to offer greater grip. Apple's own case is, undeniably, among the best you can get for your new phone, as it's among the ones fitting as snug as possible. On the outside, we get European leather with a special tanning; on the inside, you get microfiber lining which carefully protects your phone. It's available in black and midnight blue, but we have to admit the black one tickles our fancy way more! A good-looking combo between Horween leather in Latigo tan and a polycarbonate case, this Griffin case strikes us as a stylish one. It's a hardshell case, so the protection it brings to the table should be more than sufficient for your risky day-to-day endeavors with your shiny iPhone SE. Like wood? If yes, then Grovemade has a couple of pretty intriguing options for your iPhone SE, chief among is the Walnut. Hand-made in Portland, the case is made of Oregon Claro Walnut and finished with an appropriate 3M vinyl skin on top to ensure that you don't scratch it. It really does add some bulk compared with other TPU cases but is a quite good-looking case nevertheless. Two traditional material meet together in this wallet case. The frame is made of Eastern Hardrock Maple, while the leather is vegetable-tanned and minimally treated "in order to retain its inherent beauty", which allows it to develop the oh-so-coveted leather patina with time. Fancy-shmancy! 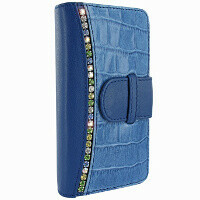 Available in a plethora of colors, this case is all about the grip. Yeah, the iPhone SE might be one of the most compact devices available right now, but having that extra bit of grip won't hurt anyone! The Candyshell Grip is slim, but offers dual-layer military-grade protection, meeting the MIL-STD-810G drop test standards. This one looks really tough, right? The VRS Design Thor indeed looks like something that might be adding a bit of bulk to your compact 4" iPhone, but it will most probably protect the phone from an unplanned rendezvous with the floor. There's also a lid that will protect the display and the front from scratches. 6 April 10 great wallet cases for the iPhone SE Nowadays, we've got so much stuff to cary in our pockets – keys, wallet, smartphone being the mainstays in our utility belt, with other accessories usually also making their way in our daily lives. This is often an annoyance when you just don't have that many pockets in your clothing, or can't fit everything in them due to smartphones being ginormous nowadays. Even the cases are recycled! Suddenly, iPhone 5 cases are expensive again. IKR, I would just go buy 5/5s accessories because that would be way cheaper than buying SE labeled accessories. 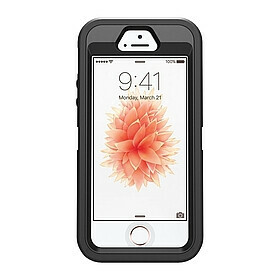 How HARD is it to go to Amazon and find USED iPhone 5(S) cases and save significantly more instead of buying a new SE case? Buying a "new iPhone SE case" is like buying recycled motor oil and using it on your new Toyota 86!!! Not the first time she looked disappointed while holding something only 4". But she sure is pretty!